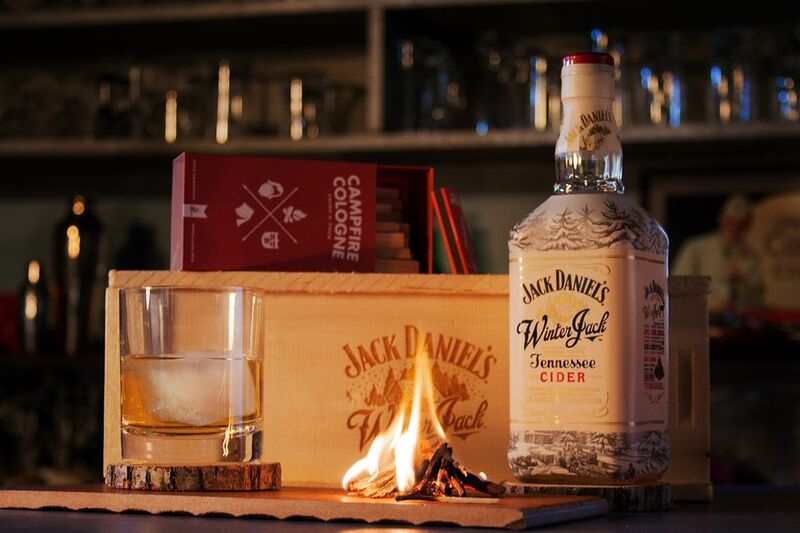 If one of your winter indulgences is a little whiskey in your hot apple cider, then you will love what Jack Daniel's has done in Winter Jack. This spiced apple cider liqueur uses the famous Tennessee whiskey as a backdrop for a great flavor experience and it is one that JD fans will want to check out. What Is Jack Daniel's Winter Jack? According to the brand, Winter Jack is "based on an original family recipe from Jack's home in Lynchburg, Tennessee." It does have that old-world charm to it. Unlike many other 'apple whiskeys,' this one tastes like real apples, not the sweet and sour stuff we have been introduced to so often in recent years. Winter Jack follows suit with Jack Daniel's other flavored liqueurs like Tennessee Honey and Tennessee Fire. Unlike those, this bottle does clearly state that it "Contains Caramel" but do not let that throw you off because it is not as sweet or syrupy as other whiskey liqueurs that use it. This is a very nice bottle of whiskey-based cider and, quite honestly, one of my favorites among its competitors and other seasonal releases. Winter Jack has been on the market for a few years now and you will only be able to find it from October through December. Hopefully, the brand continues to bring it back year after year. Jack Daniel's recommends serving this liqueur warm. It only makes sense because, after all, Winter Jack is a cider and cider is fantastic when it is hot! There are a number of ways that Winter Jack can be warmed up. Toss a mug in the microwave for a minute or less though I really do not recommend this for two reasons: liquor in the microwave seems to lose its flavor and it will naturally evaporate the alcohol. It is already a mild 30 proof, so it is best to keep the alcohol intact. A better solution is to warm a cup's worth very slowly on the stove. Better yet, throw the whole bottle in and share with friends! Another option is to use it as the base for a Hot Toddy without the tea. In this case, I would begin with three parts Winter Jack and one part hot water, making adjustments from there. This should open up the aroma and flavors nicely and cut a bit on that soft sweetness to make it a very enjoyable warm drink. A few dashes of fresh lemon juice is a good addition and I highly recommend serving every mug of warm Winter Jack with a cinnamon stick. Beyond warm and straight, Winter Jack has many possibilities in some of our favorite cocktails, both warm and cold. Use it as the base for this Warm Old-fashioned or the Hot Baked Apple Toddy or simply pour it and ginger ale to make a seasonal Highball. If you are feeling adventurous, you may even want to consider it for the base of Jack Daniel's signature Lynchburg Lemonade. This Tennessee Cider works surprisingly well with lemon and the brand created a new lemonade recipe for it that is very easy. Simply stir 4 ounces Winter Jack with '1 squeeze' lemon juice (named the Jack Daniel's Tennessee Cider Lemonade). Unlike many other 'apple whiskeys' we have seen lately, nothing about Winter Jack is overpowering and that is a relief. This is a very mild, well-flavored apple cider liqueur that is a joy from start to finish. It may also be surprising how few of those signature Jack Daniel's notes are in it. There is a definite emphasis on the cider liqueur rather than the whiskey. The pale-golden liqueur has a nose of soft cinnamon and red apples, accented by sweetened notes of honey. The palate itself is an experience because it begins very soft and apple juice-like, eventually growing into a tart apple with the spices making their appearance very near the end. The finish is sweet, but not that sweet that coats your mouth and leaves you in need of a water back. This tasting was done at room temperature, but Winter Jack is best when warmed because it livens up considerably. If you are expecting the full force that is Jack Daniel's Whiskey in Winter Jack, you will be disappointed. The whiskey is not the focus, though you could always add a little JD to it and be perfectly happy. As a seasonal taste that warms you up with everything that is great about the final months of the year, this is a great choice. We need more cider liqueurs in the world and this is one of the better options. Have fun with it... warm it up, mix it up, simply enjoy it! Apple cider liqueur with 'holiday spices' and a base of Jack Daniel's Old No. 7 Tennessee Whiskey.